This is the moment you’ve been waiting for, ArcsnNnteriors! We provide all of the coordination between the receiving warehouse, delivery personnel, and various vendors providing your home’s furnishings. This includes furniture assembly and placement in your home as well as coordinates any installations like window treatments and light fixtures. We hang all of your artwork, wash all bed linens and towels and arrange your pillows, throws, books, plants, photos, etc., so that when we get to welcome you home, you truly feel at home. This is a collaborative process whereby our in-house ArcsNinterior design team will work with you to make design decisions that are both compatible with your individual tastes and complimentary to the interior and exterior styling of the home. As your interior designers, we will work with you to select finishes, colors, furnishings and other interior treatments that coordinate the overall palette of the home. Our vast knowledge of manufacturers and materials make us a key resource in helping you select durable, high quality and stylish pieces that make the best use of your budget ArcsNinterior is so much more important than many understand it to be. As the key link between architecture and interior design, interior architecture plays a integral role in creating a well balanced home. Be it a subtle detail of a concealed built-in or the curve of the ceiling that gives the feeling of sublime proportion, we work tirelessly during this phase to ensure that every square inch inside your home has been carefully considered for livability and functionality. DesignPro Provides 3D & Interior Design Services to Home Owners, Contractors, Realtors, Interior Designers, Architects, and Decorators With HD Photo-Realistic 3D Views. I would like to offer my services as draftsman without any pay on part time basis. Address: 3/2A Main Gulburg Ayesha Siddiqa Road, Lahore, Pakistan. We are providing all services from planning designing to turn key project. We assist clients in planning their architecture and provide Architectural services for both residential as well as commercial sectors, perchance they would like to construct a new property or convert, extend or alter their present arrangement. 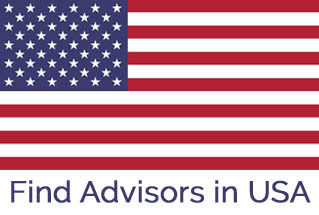 Clients can take advantage of our wide-ranging experience in properties of all shapes and sizes. 3/2A Main Gulburg Ayesha Siddiqa Road, Lahore, Pakistan. Address: 1st Floor Opp. 100 Rupee Shop Zakria Arcade near Chungi no.9 Multan. Studio3 has provided one-stop architecrual & interiors services to builders, developers, homeowners and real estate entrepreneurs. our staff offers clients valuable consultative expertise, strategic planning and intimate knowledge of building code guidelines. Studio3 offers full professional architectural and interiors consultancy services. 1st Floor Opp. 100 Rupee Shop Zakria Arcade near Chungi no.9 Multan. 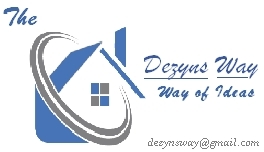 "The Dezyns Way" an Architectural & Interior Designing service provider It’s provide consulting service for all types of residential & commercial projects. we offers professional expertise to provide a full range of architectural design services. Conceptual Plans, Architectural Plans, Submission Drawings, Furniture Layout Plans, Working Drawings, Sections, Elevation, Isometric or 3D Views, Completion Drawings, Regularization Drawings. We're UK based Company that offer architectural services in various countries including Pakistan.